The soroban a calculating device that is derived from the ancient Chinese abacus. Some sources say the abacus was invented in Mesopotamia or Greece about 2,600 years ago and that the Chinese copied it via interactions along the Silk Route. However, the earliest abacus was developed in China about 5,000 years ago. The Chinese abacus was developed about 5000 years ago. It was built out of wood and beads. It could be held and carried around easily. The Chinese abacus (called suanpan in Chinese) was first described in a 190 CE book of the Eastern Han Dynasty, namely Supplementary Notes on the Art of Figures written by Xu Yue. However, in the sophisticated form that we know today was an innovation during the late Song Dynasty (960-1279) and the early Yuan Dynasty (1280-1368). Lu Ban Mu Jing gave the most detailed description of the making and specifics of the abacus. The abacus drawn in the Shuxue Tonggui by Ke Shangqian in the 16th century was the same as current abacus. During the Ming Dynasty (1368-1644), abaci became popular and spread to East Asian countries. Known as the Fifth Invention of Ancient China, the abacus can perform addition, subtraction, division and multiplication; it can also be used to obtain square roots and cubic roots. The abacus was so successful that its use spread form China to many other countries. The abacus does not actually do the computing, as today’s calculators do. It helps people keep track of numbers as they do the computing. The earliest counting device was the human hand and its fingers. Early man counted by means of matching one set of objects with another set (stones and sheep).- – Early tables, named abaci, formalized counting and introduced the concept of positional notation. c300 BC the Salamis tablet (originally thought to be a gaming board), a marble slab counting board used by the Babylonians circa 300 B.C., discovered in 1846 on the island of Salamis. In 1592, Cheng Da Wei published the Suanfa tong zong (General source of computational methods). The Chinese abacus and zhusuan (reckoning by the abacus) are known to have been created by a famous mathematician Cheng Dawei of the Ming Dynasty (1368-1644), who is known as “the great master of zhusuan”. (In Japan, he is worshipped as “the God of Arithmetics,” and August 8 was established as the “abacus festival” in commemoration of him.) This timeframe is strange because the Korean Chinese-derived abacus is said to have arrived a hundred years earlier…suggesting that the abacus predates Cheng Da Wei’s invention. The Japanese are believed to have been imported the abacus or soroban (算盤, そろばん, lit. “Counting tray”), from China around 1600. 17th c. drawing of a Roman abacus reveals its usage (see abacus-online-museum) and similarity to the Japanese 1/4 abacus. The 1/4 abacus, which is suited to decimal calculation, appeared ca. 1930, which became widespread as the Japanese abandoned hexadecimal weight calculation that was still common in China. Given the timeframe of the Roman abacus coincident with Romans reaching China, is it possible that the Roman abacus have been derived from the Chinese abacus, rather than from Greek and Etruscan sources as previously thought? 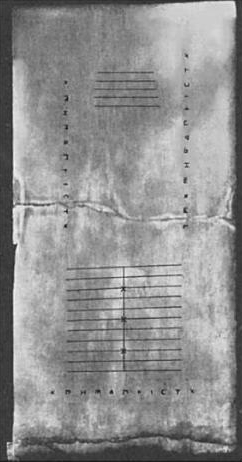 Though there is no firm evidence, it has been expressed that the Roman abacus predates the Chinese abacus, The Greek Salamis tablet (see below) does not resemble the Roman or Chinese abacuses as closely as those resemble each other. The Abacus: A Brief History of the Abacus is useful because it has pictorial comparisons of the various counting systems, as well as of the Salamis Tablet, but it is not up-to-date on the earliest forms of the abacus. The Abacist’s Guide to the Internet is an excellent easy-to-navigate webpage that has compiled many websites and web resources related to the abacus. Unfortunately, it has not been updated beyond 2005.